Give the Andaman Islands, Goa and Pondicherry a miss this time around and set off to discover these hidden gems in Karnataka. From secret passages on the beach to swimming with the dolphins, the state steps up with soft sands and inviting waters. 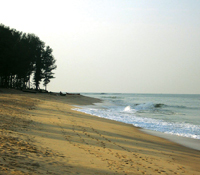 With all of Karnatakaa��s shoreline on the west coast, the entire stretch of beaches have harsh summers from March to May, followed by the onslau ght of the monsoon until September. The best time to visit is from December to February. The added bonus of hitting the shores in January is that almost all the little towns will come alive with kites and colour for Sankranti. Mangalore and Dabolim Airport in Goa are the closest to connect you to thecoast by air but trains and buses are more frequent, even getting you to the exact town. Bus services are run by both private and the state-run KSRTC connecting you through three national highways a�� NH-17 connects Udupi, Karwar, Mumbai, Goa and Kochi, NH-13 connects Shivamogga and Sholapur and NH-48 connects with Bengaluru, Hassan and Sakleshpura. This shore appears man-made and crafted to perfection. 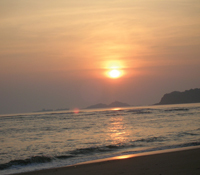 A quiet island totally cut off from the buzz of surrounding Karwar, Dev Bagh is a beach lovera��s paradise. The shallow waters are ideal for even non-swimmers to splash about in while the Casuarina grove is perfect to tie up your hammock and snooze for a bit. Head out to Ladya��s Island, for some snorkeling in the azure waters and you might even get to swim with the dolphins if you are lucky. Sweta Lunch Home in Karwar is a haven for fish eaters as their menu comprisesA�only fresh fish and the catch of the day cooked the traditional way. Try the prawn curry and Mogli fry, we say. For some pampering, stay at The Devbagh Beach Resort (`5,000 per person) which boasts of a private beach and well-appointed log huts and stilt cottages. You will feel that you are practically sleeping on the beach in comfort. Make time to zip across to admire the marvellous Yana formations carved from a rock monolith. Solid black limestone caves are also in the vicinity waiting to be explored. 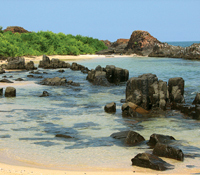 Also known as Coconut Island and Thonsepar, this group of four islands is located 58 kilometres from the hustle-bustle of Malpe and is popular thanks to its intriguing stone formations. Created uniquely from basalt rocks which have crystallised into columns and split into vertical hexagons, this group of islands can easily be reached by a ferry from the Malpe fishing harbour. Beach bums, students and adventurists will love this island for its crystal clear waters and the volcanic rocks which pique your curiosity. Vasco-da-Gama landed in 1498 on one of these islands which he named EI Padron de Santa Maria a�� a Portuguese version of the present name. Splash about in the shallow waters, but watch out for the slippery rocks that locals will warn you about. Make sure to take a picnic from your hotel or homestay as there is no food here. If you dare, pick up the Gadbad ice cream, from the popular Pabbaa��s Ice Cream (in nearby Mangalore), which is a mix of multiple flavours and toppings like jelly, nuts and chocolate sauce. Cutlets too come recommended and make for a nice snack on the secluded yet gorgeous island. 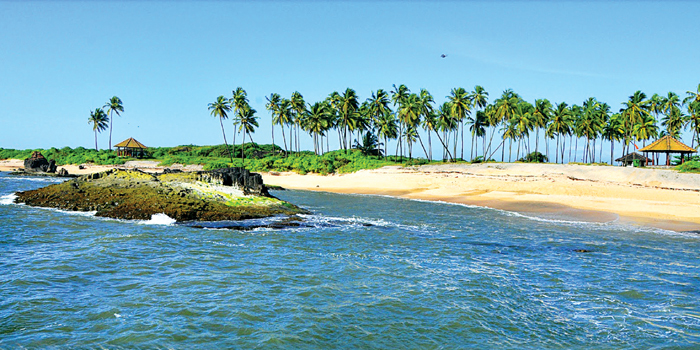 Well known for the white beaches along the coast of Mangalore, not too far off is Surathkal, popular for the vibrant engineering grads and tranquil scenery. Untouched by most tourists and even locals, the beach is serene with just whistling palm trees and waves for company. Travellers should linger here to watch the sunset or rise early to catch the morning sunrise and fishermen launching their boats a�� a different kind of fun. The waves are high and the sea quite rough so make sure you stay out of the water and just follow the little crabs about in the sand. Thrillseekers must visit the lighthouse that is located atop dangerously perched rocks. If you manage to muster the courage to climb up the rickety steps to the top, the view is simply breathtaking and even a tad intimidating. Stop off at the Sadanand Hotel, which comes highly recommended by students at NIT, for their paneer bhurji, chicken lollipop, chicken sukka and their sinfully oily chicken biriyani.